A great starter kit. This combo pack Includes; 1 beautyblender, 1 blendercleanser, beautyblender portibility pouch, 1 sample of blendercleanser, instruction cards. 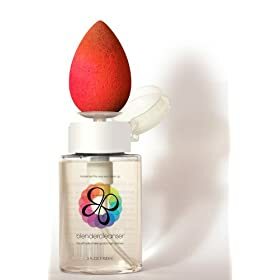 blendercleanser – To be used to clean Beautyblender after every use. Specificly designed to maintain the integrity of your Beautyblender. Application tip: Stipple or “bounce” Beautyblender when applying your make up for a flawless, airbrush type of finish. You are currently browsing the Beautyblender's Blog blog archives for October, 2009.